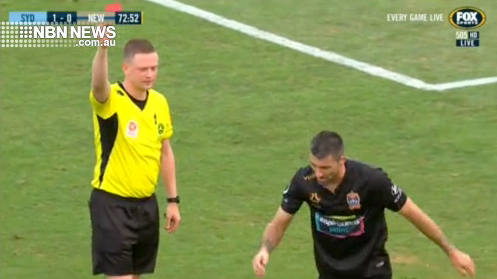 The referees have since come under fire for issuing Jason Hoffman a straight red-card. To rub further salt in the wound, under FFA rules, the Jets aren’t allowed to appeal the one-game suspension. One of Australian football’s leading analysts slamming the send off, sensationally claiming that big clubs like Sydney FC are being favoured by match officials.